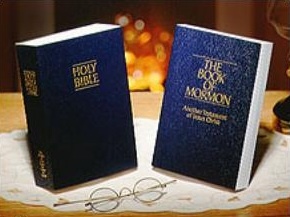 American Testament: The Book of Mormon: Pssst. Want to see some golden plates? Pssst. Want to see some golden plates? Here are three. No, they're not THE Golden Plates, but they're as close to their description as has ever been found. They're called the Pyrgi Tablets and were found in Italy in 1964. Written in Etruscan and Phonecian, these plates are very similar in size, description, and script to the ones Joseph Smith translated. They are thought to date from around 500 B.C., which is only about 100 years later than when Lehi left Jerusalem for the Americas carrying records engraved similarly on brass plates. 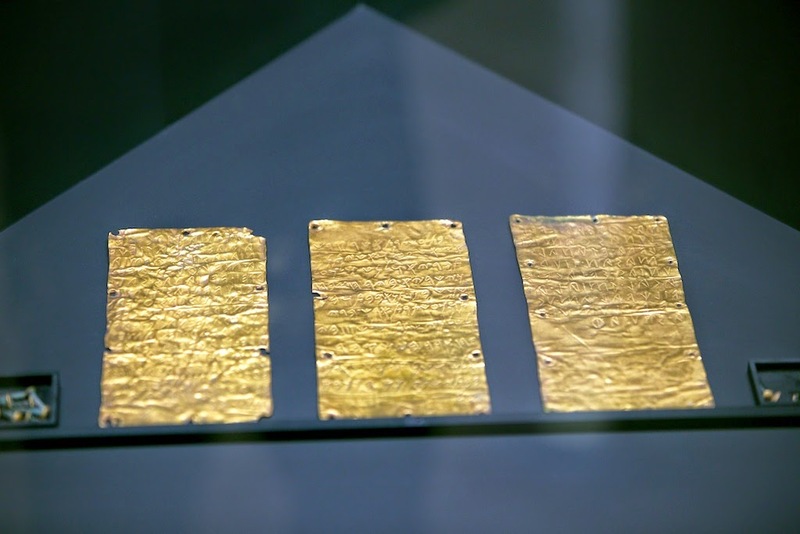 The gold plates from which came the Book of Mormon weren't created until after Lehi's arrival in the Americas, but it's rather safe to assume that Book of Mormon gold plates were quite similar to these. It's fascinating to compare the form and makeup of the characters on these plates with the ones copied to paper and shown to by Martin Harris Professor Charles Anthon at Columbia University. 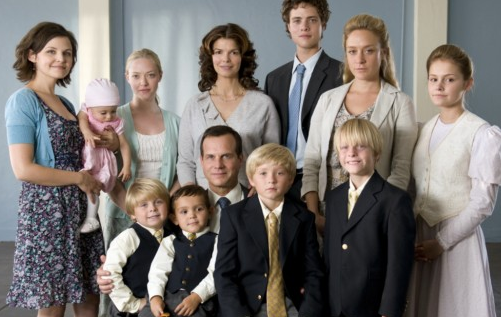 There are many similarities. One could be persuaded that perhaps Phonecian and Etruscan were related to or even a form of the Reformed Egyptian found on the gold plates.